Did you grow up celebrating Christmas, only to learn that it was a synchronized pagan holiday? Now you don’t want to celebrate it any longer. Or are you someone who wants to celebrate Christmas but family is telling you that it is wrong? Then this blog is for you! The trouble starts with the Christian Church having rolled the different aspects of the ‘Christmas story’ into one. While there is nothing wrong with telling the story in its entirety there is if certain aspects are attributed associations that are incorrect. What I mean by this is that the conception, birth and magi visits are three separate events. The first and last actually happen around the time of December and I think that this is the basis of the long held view that Yeshua(Jesus) was born on 25th December. He was, however, born in September, at the Feast of Trumpets – 1st Tishri (7th month) in the Hebrew calendar. You may, like I used to, believe He was born 14 days later at the beginning of Succot (Feast of Tabernacles) 15th Trishri. This blog will give ample evidence to suggest He was born two weeks earlier. Three different forms of research come to the conclusion He was born 11th September 3BC. They are:- Dr. Ernest L. Martin who wrote a book called, The Star of Bethlehem: The Star that Astonished the World showing the sign of Revelation 12 occurred at Feast of Trumpets amid a plethora of astronomical signs; Barbara de Gilio’s work ‘Unto us a Son is born’ which uses the Haggai 2:18-19 prophecy starting at the eve of Hanukkah and adding 271 days as is the value of the Hebrew word for gestation and coming to 11th September 3 BC; and then also Roy A Reinhold’s ELS work on the Birth of Yeashua. So two of the three major Christmas story events happen in December. Hanukkah happens in December and it starts on 25th of the ninth Hebrew month known as Kislev or Cheslev. Can you see how we may have ended up with the birth of Yeshua happening at 25th December? This is not to negate any of the arguments that it was synchronized over the known pagan festivals of Beltane, Saturnalia, or Tummuz or any other ‘longest night’ festivals! My family cancelled Christmas in 1996 and we have celebrated the truths around Hanukkah ever since. This four part blog is my attempt to bring truth and allow us all to still have fun and worship in spirit and in truth in December with family and friends. After nearly twenty years it has become our family culture and is a witness to both our Jewish and New Age friends. If you would like my booklet on this four part series to print out please contact me in comments below and I will send it to you. Next year 25th December 2016 is also the beginning of the eights days of Hanukkah. For family and friends this may be an opportune time to celebrate these truths of Hanukkah alongside Christmas. They may find a depth of meaning that will encourage them to continue truth whilst letting go of error. It worked in our family all those years ago. Supernova in the head of the boy on Virgo’s lap 125BC-75AD approx. 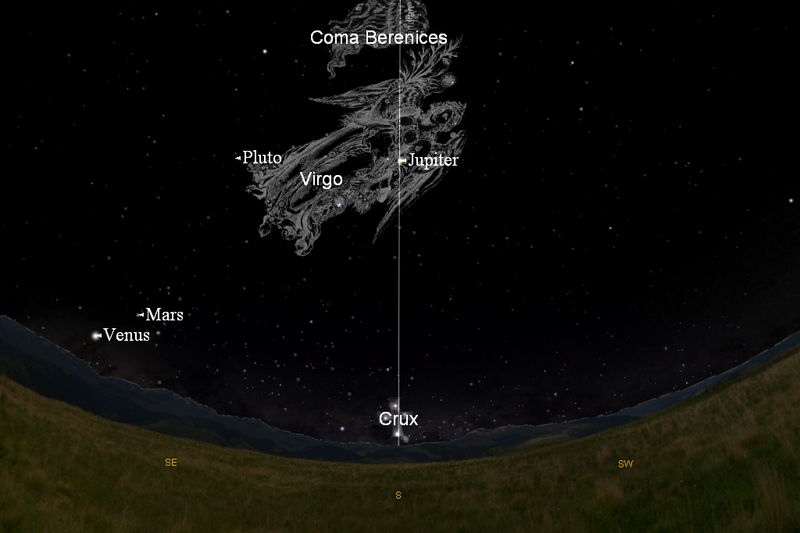 Triple conjunction Jupiter (King’s planet) with Regulus (King’s star) in Leo(Lion of Judah) 13th September 3BC 1st occurrence; 9th December 3BC 2nd; and 17th February 2BC 3rd occurrence. Total lunar eclipse 1st January 1BC Herod dies shortly after this. Joseph and Mary journeyed to Bethlehem for the “census”(registration) at the very close of the Jewish civil year (an apt time for a registration of peoples to occur) in late Summer, 3BC, Lk.2:1. The purpose of this mandated registration was to record an official declaration of allegiance from all of his subjects to present to Caesar Augustus in celebration of his Silver Jubilee (25th anniversary – 27 B. C. to 2 B. C.) of supreme power which coincided with the seven hundred fiftieth anniversary of the founding of Rome, and Caesar Augustus’ sixtieth birthday. He was dedicated in the Temple on October 21, 3BC. Luke says, “they returned to Galilee, to their own city of Nazareth”, Lk.2:39. This means that they did not go to Egypt after the birth of Christ. After all, they had only gone to Bethlehem for the “census”, not to move there. So, the family returned to Nazareth in the latter part of October (during that time, they located a house to live in). Then for some reason (they probably thought that a better place to raise the Messiah would be in Jerusalem’s back yard) they decided to move to Bethlehem. This could have been in the Spring or Summer of 2BC. They set up house there, Mt.2:11. Joseph and Mary fled to Egypt, having been forewarned by an angel in late December, 2BC. Herod killed the male children “in Bethlehem and in all its environs, from two years old and under, according to the time which he had ascertained from the magi”, Mt.2:16. This matter of killing two-year-old children can now make good sense. If Jesus was born in September, 3BC, the slaying of infants was about 15 months after His birth. If the conception period were also considered, it comes to 24 months exactly or two years old as per Eastern understanding of a child’s age. Joseph and Mary returned from Egypt, having been told that Herod was dead (Herod died in January, 1BC) and took up residence in Nazareth, Mt.2:19-23. In the spring of 11 AD, Jesus visited Jerusalem with His parents and observed Passover, Lk.2:41-42. Jesus began His public ministry just after He reached the age of 31, in October or November, 29AD. This satisfies the statement in Lk.3:23 “And when He began His ministry, Jesus Himself was about thirty years of age…”. Feast of Hanukkah The start of the eight days celebration can sometimes occur as early as November 28th or as late as December 27th on our solar calendar. 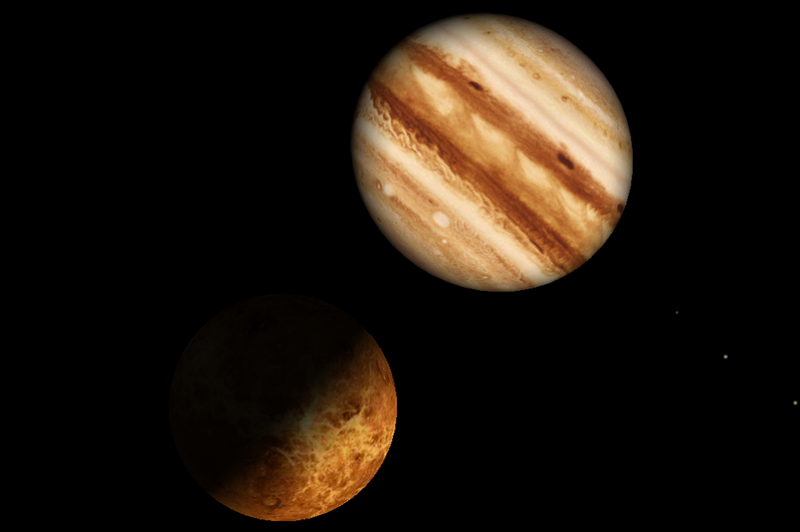 The Jewish months can vary at times as much as a month out of phase with the solar calendar that we use today. But in the year 2 B.C.E., it is evident that Hanukkah began on December 23rd. 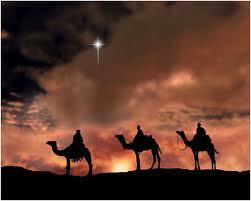 The Magi would have given their gifts to the newborn babe on the third day of the Jewish festival. This would have been an interesting and symbolic time to present their gifts to the one they considered to be the messianic king that the Jewish nation was then expecting to appear. This was because Hanukkahwas a time for gift giving. Hi David, I emailed you the booklet. I hope you like it and feel free to send it on. I give it away a Hanukkah. I would love the vook you mentioned if it is free! David Rivers 5230 Madison Lake Cir Tampa, FL 33619. Shalom, thanks and G-d bless you! ← What is the difference between these and the B’nei Menashe?